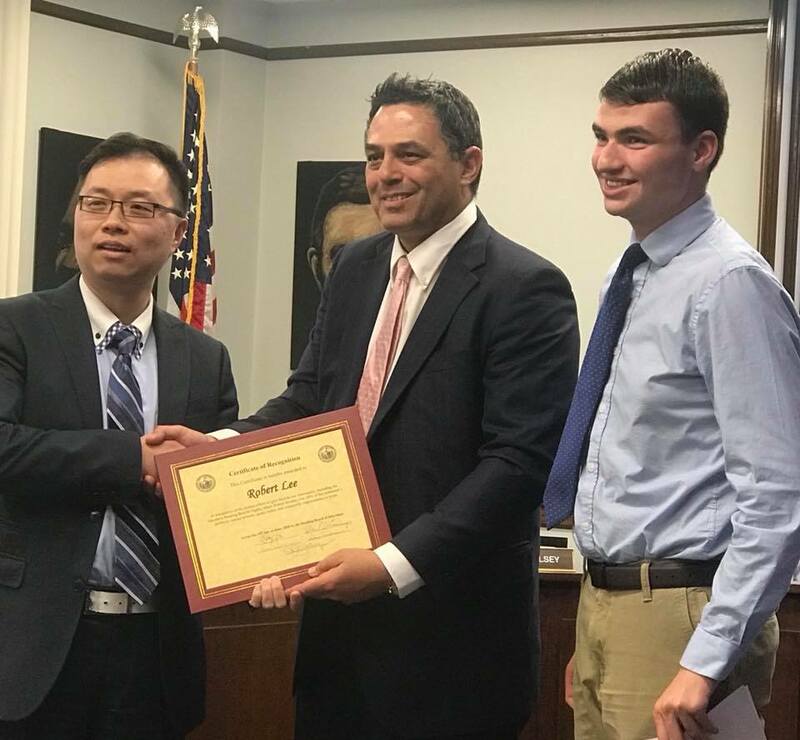 Andrew Friedmann was elected to chair the Select Board by a vote of 3-2 on Tuesday, June 19. Friedmann, who is serving in his second year on the board, was nominated for the post by Select Board member Vanessa Alvarado. John Halsey was also nominated by member Dan Ensminger, though Ensminger indicated that current Acting Chair Barry Berman was the logical choice for the job. Due to a recently re-affirmed Select Board policy, Ensminger and Berman are ineligible to be the chair as they are in the final years of their terms. Halsey cited his prior experience as chair and his length of service on the board as his qualifications to serve. He mentioned that the post required a “steady hand” to guide the board. Friedmann indicated that he was committed to inclusion and that he was ready to serve if asked. 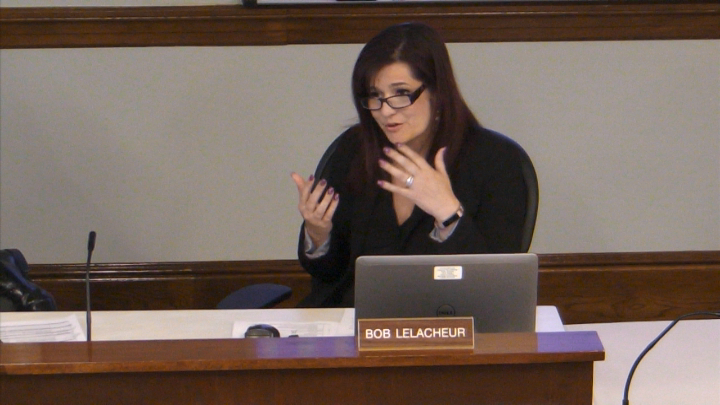 Berman, the obvious deciding vote, expressed reservations about voting for either candidate, stating that it had only been a year since Halsey had served as chair and that Friedmann lacked the requisite experience as a Select Board member. Berman referred to the established practice of having a member serve as vice-chair prior to being elevated to the post of chair. 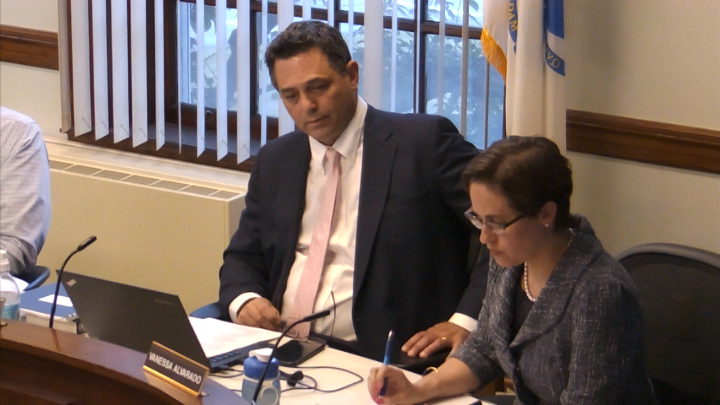 Because of this practice, Berman offered to serve as chair until December, stepping down at that point in favor of Friedmann, but as the nominations had closed, this offer was not considered. Alvarado also stated that she considered it a violation of the voter’s trust to enact the plan, despite Berman’s good intentions. The first votes were taken, with Berman declining to vote either time, leaving each candidate with a 2-2 tie. As a majority is needed, neither candidate won. Berman could have remained as acting chair but said he would not do so under these circumstances. Both Ensminger and Halsey expressed similar concerns to Berman regarding Friedmann’s readiness for the position. Alvarado countered that Halsey, in her opinion, did not have the steady hand that he himself had suggested was needed for the job. 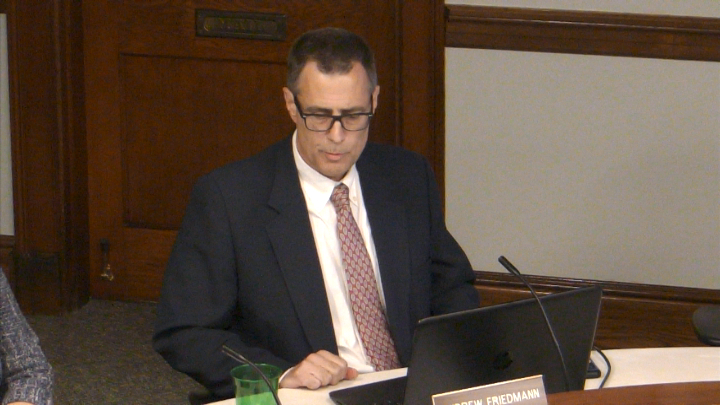 Resident Jaimie Maughan injected that given that the voters had overwhelmingly indicated the desire for change on the board, the selection of Freidman seemed to respect that choice. 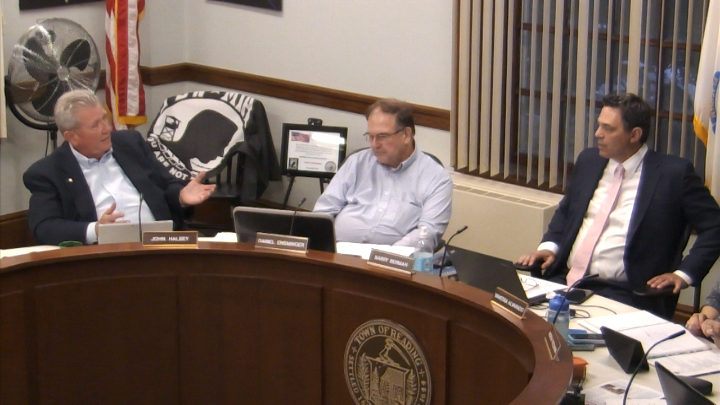 Continued lengthy discussion ensued until Berman finally decided to vote in favor of Friedmann. Berman was then elected as vice-chair with Alvarado as Secretary. The meeting began with Alvarado offering a statement regarding another graffiti incident at a Reading school. She implored the board to not only make its own statement but also to get more proactive on the issue. Friedmann produced a statement regarding the incident that he asked the Select Board to endorse. The Select Board acknowledges that many Jewish people in the Reading community do not feel safe in their own town due to recurring anti-Semitic incidents, more than 10 in the past 12 months, ranging from swastikas to very threatening language such as “Gas the Jews.” The Select Board condemns the escalating occurrences of anti-Semitic vandalism that have defaced places in Reading, including our schools and public library. We recognize the deep impact these disturbing crimes have on our children, friends, and neighbors. The Board commits to increase its efforts to combat these repetitive acts of hate. 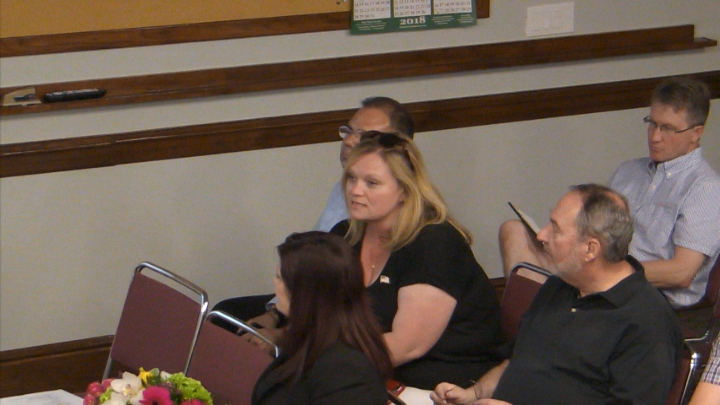 While expressing concerns about voting on a statement that they had not seen prior to the meeting, the Select Board voted 5-0 to issue the statement. The board received a financial update from Town Accountant Sharon Angstrom and voted 5-0 to reappoint her to the post for the next year. 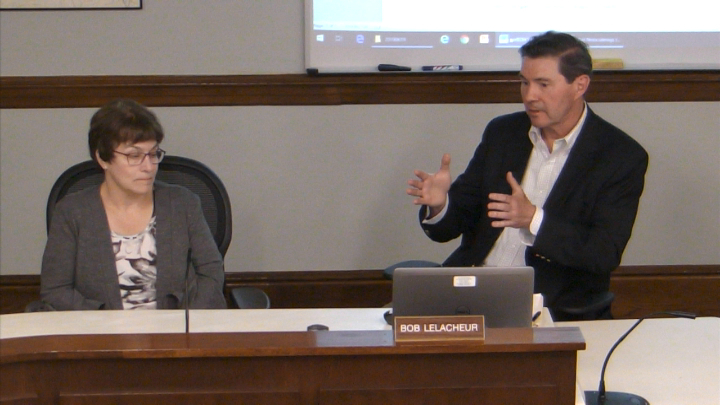 The Select Board voted 5-0 to approve an updated Classification Plan which will allow the town to hire the new positions that were part of the override budget. 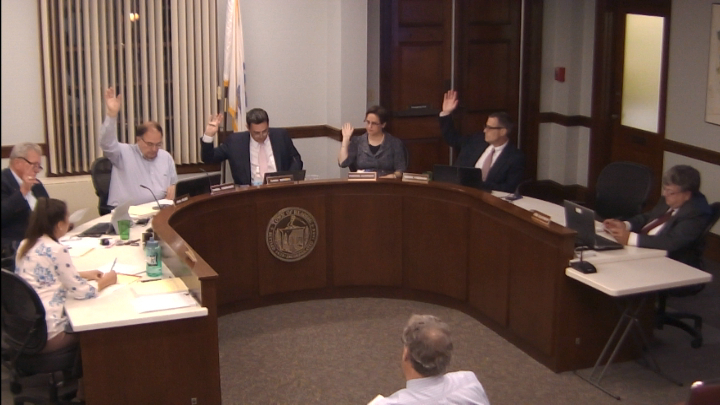 The board also approved the expenditure of up to $20,000 for a cable audit to ensure that Comcast has upheld its side of the cable contract with the town enacted almost ten years ago. Information from the audit will aid the upcoming contract negotiations with Comcast. Board of Heath chair John Costigan presented the plan for a new pesticide regulation to the Select Board. The regulation would prohibit the use of certain pesticides on town-owned land, most notably sidewalks and tree lawns that abut private properties. Several questions were asked regarding the regulations and the process. The Select Board will hold a public hearing to allow residents a chance to speak on the issue. No date was determined for the public hearing. David Zeek, chair of the Climate Advisory Committee, shared the committee’s recent activities including a successful bicycle recycling event, and the Earth Day Fair. He also spoke regarding the implementation of the one-time-use plastic bag ban. The ban has been in effect since March, although the six-month grace period does not end until September 10. The committee is in the process of working with local businesses to inform them of the ban and to offer alternative solutions. The Select Board made approximately 70 appointments to boards and committees that it oversees. All the appointments were unanimous. The Volunteer Appointment Sub-Committee (VASC) interviewed 42 incumbents and 26 new volunteers as part of the process. Concern was expressed by Alvarado as to why Emmy Dove had not been recommended by the VASC for an open slot on the Board of Health. Ensminger indicated that she had withdrawn because of an inability to make the meetings. Alvarado suggested that she be appointed and that the Board of Health could figure out how to work out a meeting schedule that accommodated all its members. After some discussion, Dove was appointed to the board. The Select Board adjourned at 11:20 pm.